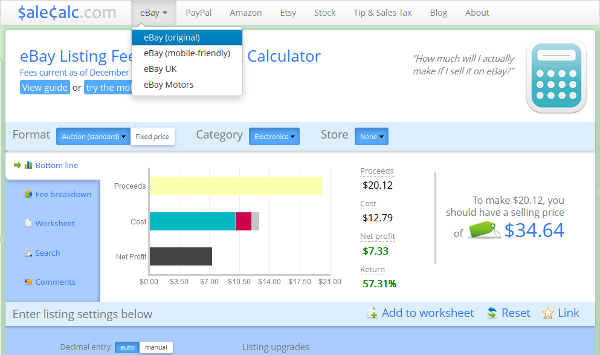 Ebay has recently announced a major shift in fees for sellers. Do you guys anticipate adjusting your calculator to represent the new fee structure? Love the site. Just recently found it but I absolutely love it. I’ve developed my own excel sheets but I cross check with yours almost daily. Yours just looks better than mine!!!!! Thanks for everything. Thanks, Daniel. We’re aware of eBay’s recent announcement regarding changes to their fee structure and plan on updating our calculators accordingly. Stay tuned.